With sales of value-added and fortified baked products setting records, consumers are looking to you for alternatives. Wright custom nutrient premixes offer a solution. Our extensive background in fortification provides you with not only quality ingredients for your product, but also the technical expertise to assist you in incorporating them into your products. Each product is custom formulated to your specifications and is backed by full quality assurance testing to guarantee potency and performance, 24/7 customer service and over 50 years of experience in the fortification industry. It’s all part of our commitment to bringing you the kind of superior service it takes to help ensure the success of your products and your company. 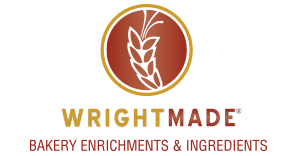 Contact The Wright Group today to get started on your next food and beverage product.